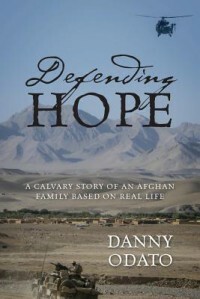 Defending Hope: A Calvary Story of an Afghan Family Based on Real Life - Xunaira J. After Khaled Hosseini's, And the Mountains Echoed, I have been attracted towards the Afghani way of living, culture and tradition. I have always been a fan of mystery, thriller and suspense and with this, I had all of it in the same package. Reading Mr. Odato's second book, I have immense pleasure in saying that he is one gifted author. Keep up the good work.